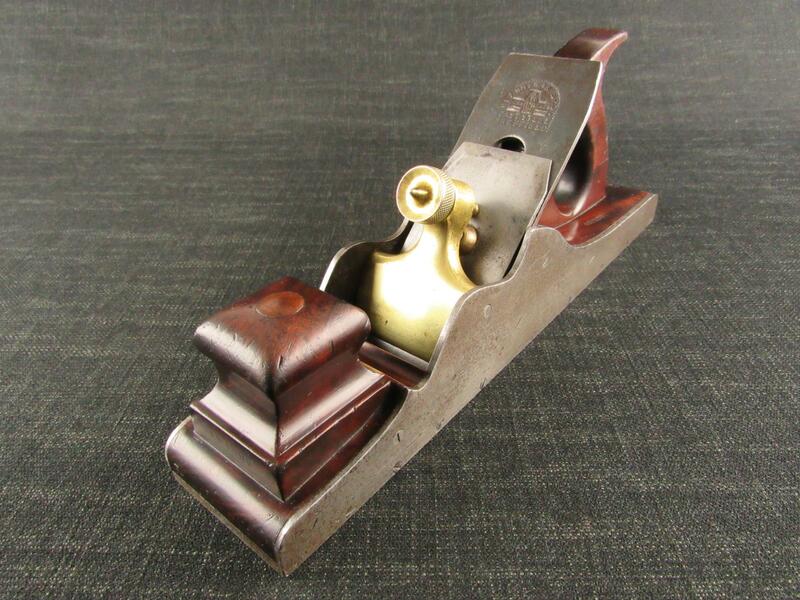 The smallest MARPLES brass plated rosewood sliding bevel we have seen. Faintly marked 'MARPLES SHEFFIELD 1917' on the rosewood stock. Fitted with a 6 inch steel blade, a few pitting spots. 41/4 inch stock, 61/2 inches overall length when closed.